This Module is intended to be studied along with the Introduction to Medical Biochemistry Module. Additional video animations on these topics can be accessed on the main menu page. 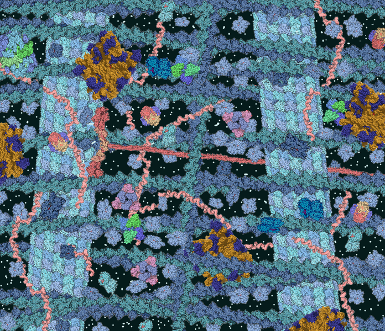 Cell biology (formerly cytology, from the Greek kytos, "contain") is a scientific discipline that studies cells – their physiological properties, their structure, the organelles they contain, interactions with their environment, their life cycle, division and death. This is done both on a microscopic and molecular level. Cell biology research encompasses both the great diversity of single-celled organisms like bacteria and protozoa, as well as the many specialized cells in multicellular organisms such as humans, plants, and sponges. 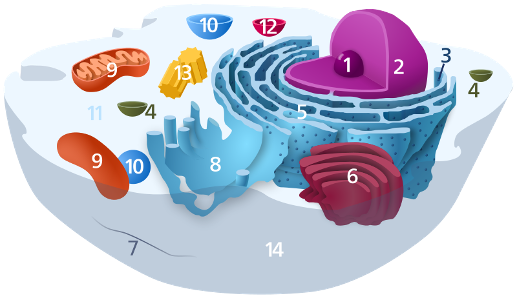 Knowing the components of cells and how cells work is fundamental to all biological sciences. Appreciating the similarities and differences between cell types is particularly important to the fields of cell and molecular biology as well as to biomedical fields such as cancer research and developmental biology. These fundamental similarities and differences provide a unifying theme, sometimes allowing the principles learned from studying one cell type to be extrapolated and generalized to other cell types. 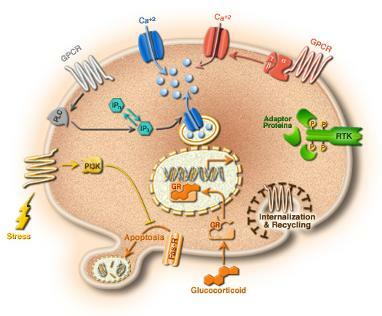 Therefore, research in cell biology is closely related to genetics, biochemistry, molecular biology, immunology, and developmental biology... Continue in the Guidebook below where full descriptions of the introductory graphics are explained in their details. IVMS Introduction to Cell Biology| AP High School Health Sciences Track Study Guide by Marc Imhotep Cray, M.D.